Malleval is a small village in the Parc naturel regional de Pilat in the Loire department of the Rhone Alps, 27 kilometres from Vienne and 54 kilometres from Lyon. 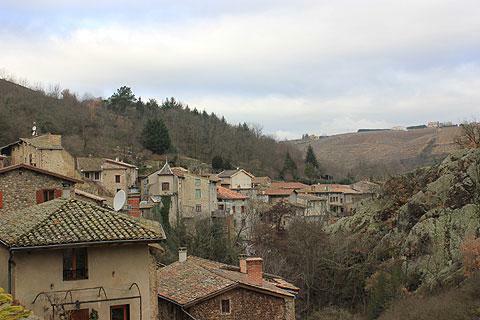 Malleval is a particularly attractive village in the Pilat Rhodanien as this part of the Natural Park of Pilat is called. I visited on a cold day in January, it must be gorgeous on a sunny day in spring when the trees are in leaf and the plants in flower. 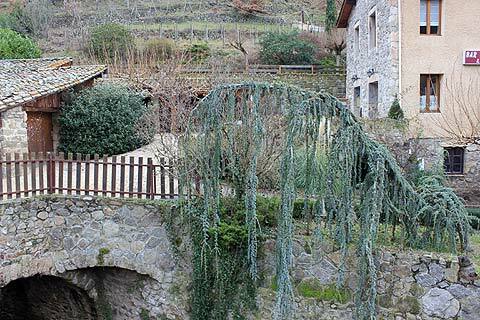 The village must also have incredibly clean air as the rocks are so covered in lichen they are almost completely green. The village winds along a single main road towards its church which is raised above the village. 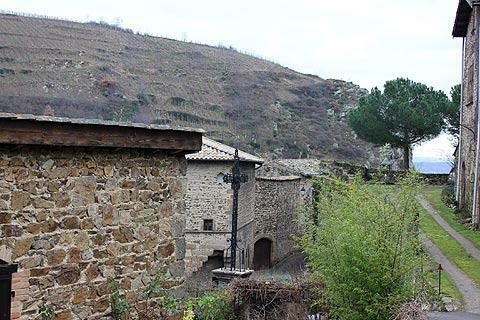 The houses are built of the local stone and almost seem to blend into the surrounding countryside. 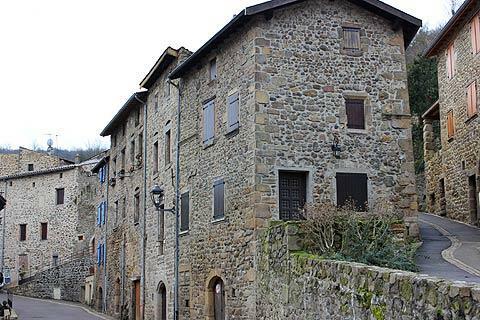 Stone built with small windows and wooden shutters the houses are typical of the style of the region. 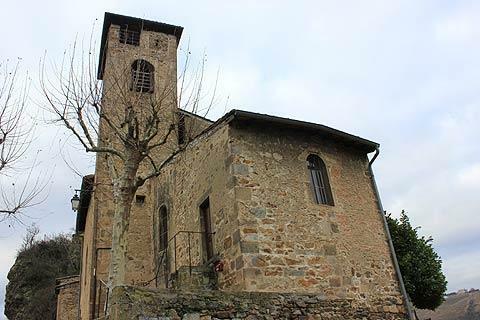 The church has its origins in the 11th century but much of it had to be rebuilt in 1606 after being largely destroyed in the Wars of Religion. Protestant troops followed by Royal troops sacked the village in 1574 and it was rebuilt in the following decades but never re-established its position as a thriving market town. Look out for the Maison de la Prehende on the rue des Fabriques. This house had income related to the church. Also to see is the 'grenier à sel', the salt store: this building from the 16th century has an unusual stone built shelter built over its doorway. The commanderie, once the home of the courtroom, is now the village hall. It is an attractive building with a large stone tower and small-paned windows. From its terrace you can get great view over the confluent of the two small rivers that enclose the village. 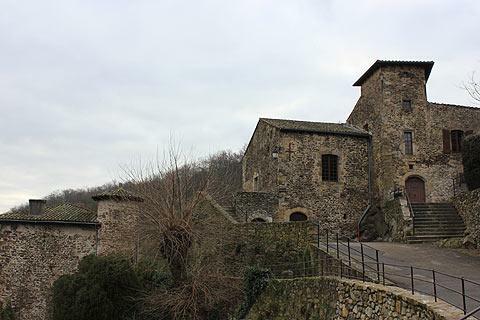 Also in the village you will find a restaurant and several wine cellars where you can taste and buy wine of the Condrieu and Saint Joseph appellations. 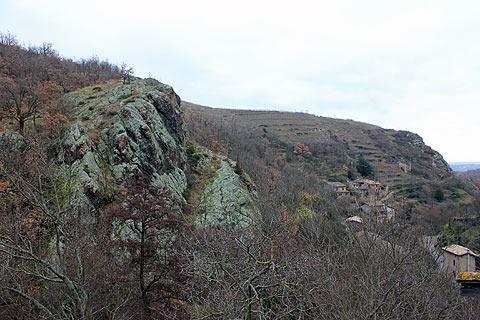 There are a number of walks into the surrounding hills covered in rocks, trees and vines where you can explore the surrounding Parc Naturel Regional de Pilat. The tourist office in Malleval can provide you with maps. 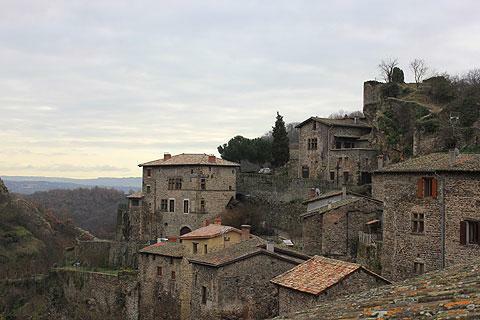 The interesting village of Pelussin is just a short and scenic drive away. Another neighbouring village is Lupé which has a mediveal chateau built in an octagonal shape, and the village is very picturesque. You can find more local travel ideas in the Loire guide and the Rhone-Alpes guide.